Offering Deep Restorative, Upholstery Cleaning, mattress cleaning and upholstery stain & odor removal, using Hypoallergenic solutions. Using hypoallergenic solutions, Jennings All Spruced Up's deep, restorative upholstery & Mattress cleaning, eliminates stains, soiling and odors. Our deep cleaning process removes allergens, dust mites and bacteria from your upholstery & mattress, leaving you with clean surfaces to enjoy in your home. Tiny specks of dirt that get into your upohlstered furniture and mattresses wearing away at the fibers, weakening the fabric and making them look worn and tattered. Regular professional upholstery cleaning can remove dirt, which in turn can help the fabric stay looking new longer. Regular professional upholstery and mattress cleaning will protect your upholstered furniture for years to come. Jennings All Spruced Up's hypoallergenic and anti-allergen, professional upholstery, mattress, oriental rug and leather furniture cleaning, removes 98% of allergens and dust mites, pet hair, pollen and other allergens that become trapped within your belongings. Breath easy with Jennings All Spruced Up, Upholstery & mattress Cleaning Service! Protect your home’s environment with our anti-allergen upholstery, mattress and rug cleaning systems. Jennings All Spruced Up, cleaning and restoration, specializes in upholstery, mattress and leather furniture cleaning, with over 15 years of industry experience. Stains Accidental spills can leave stains on the surfaces, making them look shabby and unsightly. Eliminating these stains will restore your furniture and rugs to their former glory! It will also help brighten dingy fabric, creating a brighter, fresher look. When your furniture and rugs are clean, you're entire house feels and smells a lighter and cleaner. All of this resulting in the cleanest oriental rugs upholstery and mattresses possible. This starts by using the safest, hypoallergenic solutions, combine with the most effective cleaning and restoration methods known to our industry. With Jennings All Spruced Up, our goal is to make everyone we serve a customer for life. Which is why we ensure that our cleaning and restoration services are always a step beyond the rest. Fabric Identification- Test for color fastness in an inconspicuous area. Vacuum lose dirt and dander prior to pretreatment. Execute full procedure of our stain removal process Steam application, for applicable materials Treat with hypoallergenic solutions. Hot or Cold Water Extraction Depending on the materials the upholstery or rug is made of. PH neutralization Application of fabric conditioner to soften fibers Application of fabric protection or leather conditioner. Dead human skin cells, dust mites and their feces, pollen, pet dander, mold and bacteria are all lurking inside of your house! Dust is a cocktail of these unpleasant, microscopic particles. So called allergens, are just 0.000001g can be enough to trigger a variety of respiratory issues such as asthma, emphysema and allergies. They can bring about coughing, sneezing and itching and a variety of allergic reactions. Which is why Jennings All Spruced Up uses only the best in Anti-Allergen treatment for rugs, upholstery and mattresses cleaning. How dust causes allergic reactions: Some allergens are just 0.5 microns in size. That's 0.000197 inches. Or 200 times smaller than a human hair. This means they can easily enter the body through inhalation. When this happens, some people's immune systems overreact to the presence of the particles, producing antibodies to repel them. Subsequent physical reactions include itching eyes, a running nose, sneezing and coughing to combat the allergens. Aside from creating a cleaner indoor environment, If you or a family member suffers from allergies, regular upholstery cleaning will greatly reduce your symptoms. Even if no one in your immediate family has allergies, keeping indoor allergens to a minimum can make your home more comfortable and inviting for anyone who walks through your door. If you or a family member suffers from severe allergies ask about our anti-allergen treatment. Above and beyond our hypoallergenic cleaning process this anti-allergen treatment will reduce the allergens within your indoor environment for months to come. Stains Accidental spills can leave stains on the surfaces, making them look shabby and unsightly. Eliminating these stains will restore your mattresses and upholstered furniture to their former glory! It will also help brighten dingy fabric, creating a brighter, fresher look. When your furniture and rugs are clean, your entire house feels and smells a lighter and cleaner. All of this resulting in the cleanest mattresses and upholstery possible. This starts by using the safest, hypoallergenic solutions, combine with the most effective cleaning and restoration methods known to our industry. With Jennings All Spruced Up, our goal is to make everyone we serve a customer for life. Which is why we ensure that our cleaning and restoration services are always a step beyond the rest. Urine deposited on mattresses does not stay on the surface. It also penetrates the fibers and contaminates the backing of the mattress and the upholstery layers within. Often, without your knowledge, pets will urinate continually in the same general location, causing significant contamination and damage. As urine dries, the liquid evaporates but the urine crystals become even more concentrated and pungent. Simple cleaning will not remove this odor. In fact, these urine crystals are frequently reactivated by moisture. Urine can also cause permanent color damage, either from adding color by dying the mattress covers fibers or removing color by releasing the mattress covers dyes. Jennings All Spruced Up is fully equip to remove, neutralize and contain pet urine and many other odors from all surfaces. Odor on upholstery can be caused by many sources, some of these sources include pet urine, disaster contaminates, rodents, and moisture problems. For many families, their pets are a vital part of their family unit. Just like other family members, we normally don't get rid of them when they have accidents. And while pets can and do provide a variety of benefits within households, their accidents can also create challenges. 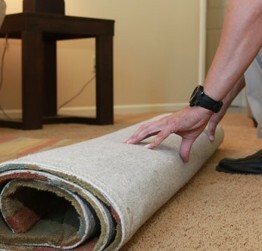 Pet urine on mattresses, upholstery, wood, cement, carpet, rugs, or leather can do much more than cause unpleasant odor. Jennings All Spruced Up's crew are experts at removing unwanted odors and stains from your upholstery, oriental rugs, mattresses and leather furniture! Our deep restorative upholstery mattress and rug cleaning process completely eliminate odors caused from all sources. Jennings All Spruced Up has the most advanced pet stain removal products and equipment available in the industry. We are able too completely remove pet stains from all types of upholstered furniture, auto upholstery, wool rugs, carpets, carpet padding and mattresses. Because of our extensive experience with pet stain removal we will even remove urine stains and odor from memory foam mattresses, heirloom quality rugs & fine upholstery that our competition wont touch. We perform hypoallergenic cleaning services, on all types of upholstery, mattresses, drapery and oriental rugs, including the most delicate foams and natural fibers, with great success. Indoor Air Quality/ Odor remediation, removal and Deodorization services: Odor in homes and buildings can be caused by many sources, some of these sources include pet urine, disaster contaminates, rodents, and moisture problems. Better service, fair pricing, the best results. Let Jennings All Spruced Up be you're only call for cleaning and restoring your homes contents! Jennings All Spruced Up offers free local pickup and drop off, for our wool area rug cleaning services. "Jennings All Spruced Up cleaned a love seat and two chairs with matching ottomans covered in white cotton fabric. They look almost like new after their efforts. Jennings took pains to treat the dirtier areas with an extra step to achieve an excellent result. Also, he worked neatly with little disruption to my home. I am very satisfied with the work he did. In the near future, I plan to have him clean grout in two bathrooms and steam clean all my hardwood floors."